Hello there and welcome to the JC Danczak Blog. For those of you who don’t know what a blog is here is a short explanation courtesy of our friends over at Wikipedia. Well, now that I’ve given you the technical definition let me tell you how we here at JC Danczak intend to use our blog. At JC Danczak we pride ourselves in providing awesome customer service because we know our success hinges on yours. 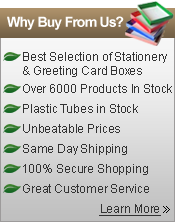 The blog will provide a whole new way to provide our customers with valuable information in the product packaging world. We will be posting articles and how to’s as well as information we find on the web that we deem of use. We will also keep you up to date on what’s going on at JCDanczak.com including new products, holiday closings, specials and more. Stay tuned folks, subscribe to our RSS feed, and feel free to add your comments and let us know how we can serve you better.